✅ Trip Verified | Where do I start - the worst airport experience i've ever had. My sister and I were travelling back to different countries after spending Christmas in Berlin. We were initially in the same gate door, but as she went through the scanner I was getting my bags checked, scanned my boarding pass to be told my gate had changed. So we had to say a very quick teary good bye at this point as she was going back to Australia and myself back to Ireland. The baggage man was nice enough to let my sister come back out to say goodbye to me. The only staff member who was decent in this whole experience. 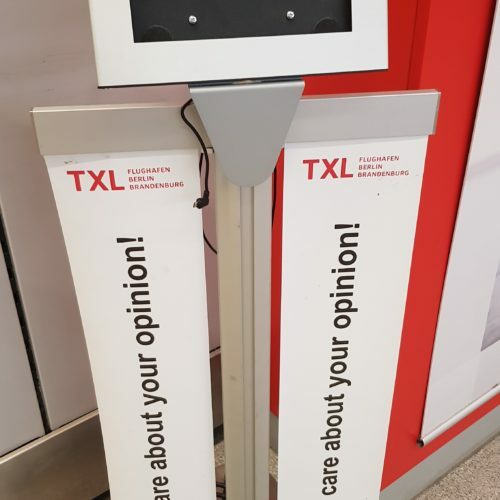 My checkin counter was in front of the baggage control line where we lined up for an hour and none of the staff thought to update passengers that the terminal changed. Each baggage control and terminal entrance is separate. There was lots of other passengers in the same boat and also had to pick their stuff up from the baggage control belt to go to another gate. The new gate had another massive line to wait in of course. 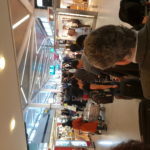 I got to the airport 2.5hrs early by the time I got through this disorganised nightmare airport my flight was boarding! The airport is tiny but very inefficiently run by staff who don't know what customer service is! Has put me off going back to Berlin. I've travelled a lot, in particular in India and Asia and even they have it right compared to this airport. It was like a country town airport not an airport in a major city! If you must travel through here only take carry on baggage and don't check anything through! "dining options are extremely limited"
✅ Trip Verified | Worst airport that I have ever experienced. Had to do a transit and thought Berlin must have a nice airport. It more reminds of a big garage than an airport. It's worn and the "lounge" area is nothing compared to a lounge. The dining options are extremely limited - so are the shopping options. Seating is difficult to find and very uncomfortable. Worst of all its extremely noisy - like being in a production factory or something. It's been impossible to sit down a relax for the hours in transit, it's been like sitting in a refugee crisis center. And glad I'm not disabled as you have to go up and down stairs all the time. Even with your luggage that's very difficult. The best thing was the wifi, so I could log on and write this review. Not Verified | This airport is horrible. It's way too small and the most unfriendly staff I've ever encountered. They were extremely rude at security and were bad at English and only mumbling so they got irritated inmediately because I didn't understand them. A bit of friendliness never hurt anyone! ✅ Trip Verified | This airport must have been the worst I've experienced for years. We know it is worn down and due to be replaced (or renewed) but till this happens it should work far better than it did for us. On arrival, we waited 1 hour for the luggage and there was no one around who could tell us what was going on. 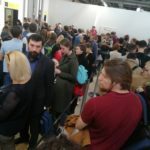 The arrival hall totally overcrowded and the infrastructure unable cope. Next issue was to find the car rental centre. We arrived at Terminal C and finding the Centre was a challenge since there were no clear signs. On departure from Terminal C - the line to check in a security was long. Very long. And although staff tried to help, the line got longer by the minute. When we reached the bag drop counter, we had to wait 20 minutes since the baggage system was clogged. I cannot recall having experienced anything like this. We arrived 3 hours before departure and it took us 2 hours to get thru. I know that this was Xmas season and delays were to be expected but this was unacceptable. Berlin deserves better. If feel sorry for EasyJet who otherwise gave us a perfect experience. "cant process passengers on time"
✅ Trip Verified | Seriously the most disorganized, painful airport I have been at (and I've been to over 50). Probably added to by the lack of staff from Air France to process check-in. No wonder crowds and late departures, they cant process passengers on time. 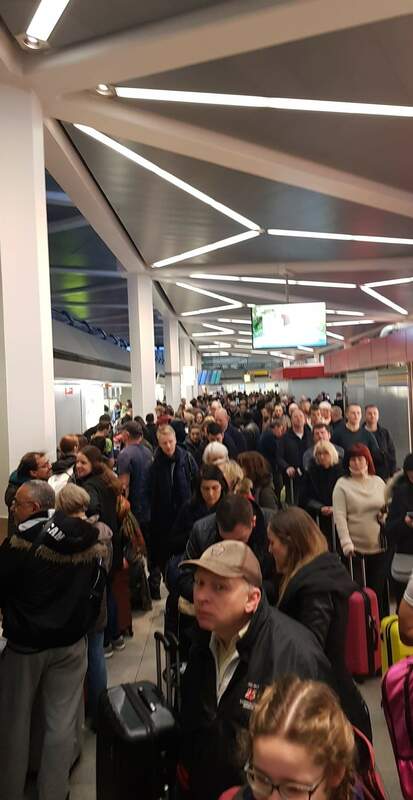 ✅ Trip Verified | The worst airport in Europe. Two pieces of advice: 1) if you have luggage don’t exit quickly, if you do so you will probably miss your luggage. 2) at departure take a pill to be as calm has possible. 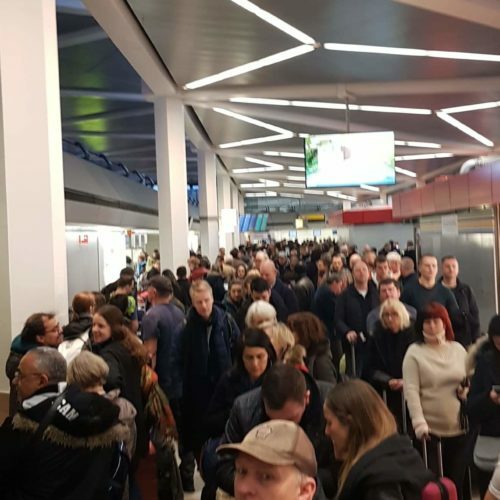 Not Verified | Berlin is the capital city of the Germany and the most prominent city in the EU, I have just experienced the worst airport in Europe and beyond. In a queue 1.5 hrs then to a second queue for a further hour for security so now late for boarding. Once loaded the pilot advised the luggage had not been loaded and we had missed slot for take-off. Then there was no vehicle to push plane onto tarmac. There was absolutely no organisation in the airport and we are told that there is a lack of staff. Are we in the capital city of Germany and prominent city of Europe or a North African conclave. Disgusting. ✅ Trip Verified | Inefficient luggage checking. The airport should open additional lanes. Queueing takes +- 1.5 hours. Such a disappointment! I didnt have time to shop inside the duty free area. 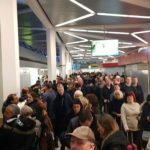 "it was a disgusting experience"
Not Verified | I arrived in Berlin two days ago and as I got off the plane there were no signs to tell me where to collect my luggage. I have been to plenty of airports and have never had this issue. I went and asked a staff member where I could collect my luggage and she told me I should have collected it from a carousel. I told her there were no carousels and she snapped at me and said I was wrong. I decided to ask someone else and they told me I needed to go to the baggage centre. I arrived at the baggage centre and they told me I should have collected my bag at the carousel and because I failed to do so, I would need to wait 1-2 hours for my bag to arrive. There were only 2 staff members on and my sister and I waited 3 hours for our bags to be returned to us. Two days later, my sister and I travelled back to the airport to fly to Vienna. There was no information about when we were able to go through security. Once I lined up to go through security they had informed us that our flight had been cancelled. The only reason why I found out was because another customer had told me. The staff members didn’t even bother to communicate this over the speaker. The only flight that was available was the following day at 1pm. So, overall it was a disgusting experience as a tourist and I am choosing never to go back to this airport ever again! I will also be telling other people the same thing as I don’t want anyone else going through what we did. Not Verified | Complete disaster! 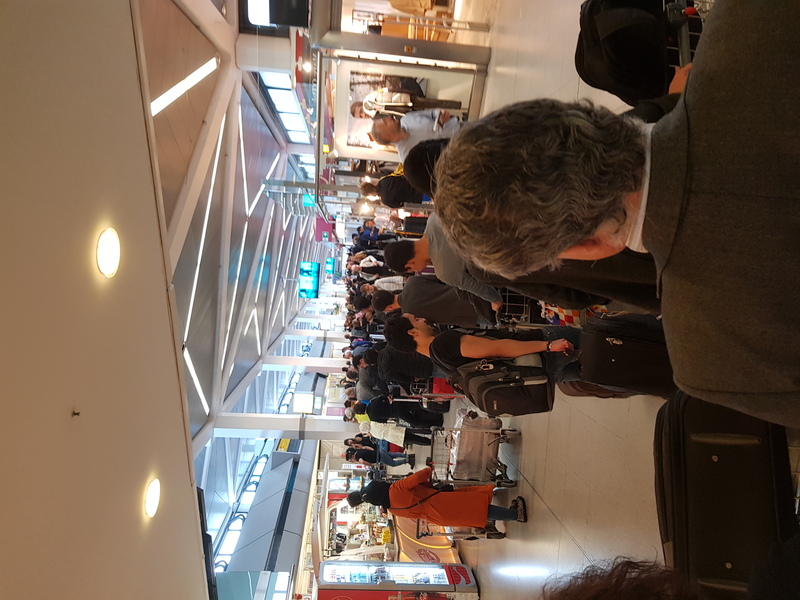 Longest lines to security control, I’ve ever seen in my life (I fly at least 2-5 times every month and I’ve been to many airports). 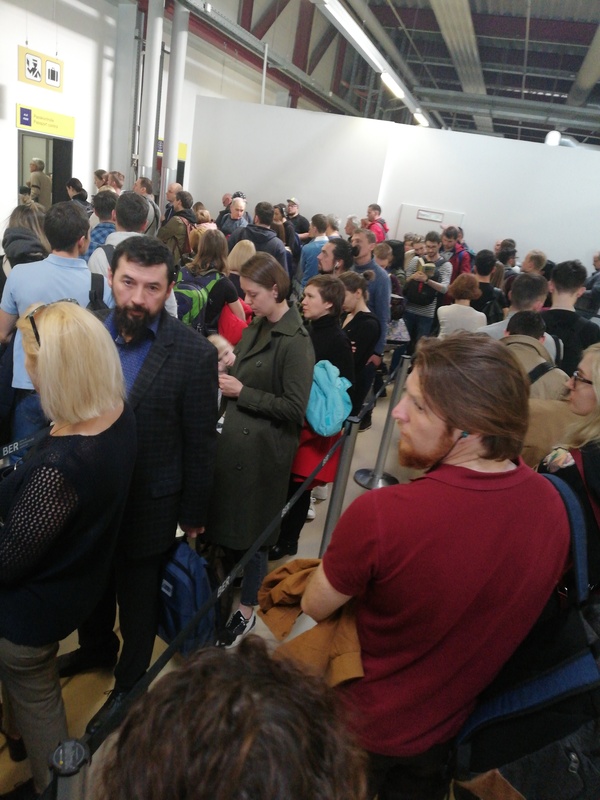 Being in Germany I expected that everything will be well organized, but this airport is a catastrophe. I highly recommend to choose any other airport if you have the choice.